Help Mommy Mouse find her babies on the farm in this lift-the-flap, peek-through book! This adorable interactive board book follows Mommy Mouse as she searches for her babies all over the farm. 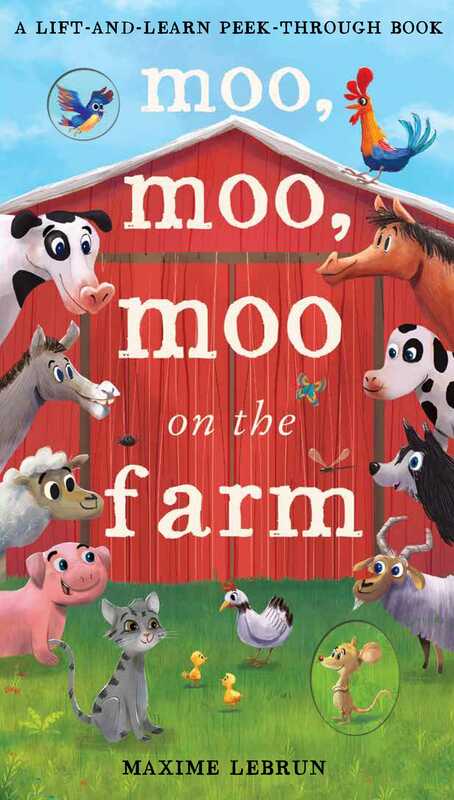 Moo, Moo, Moo on the Farm features flaps to lift on every page, along with peek-through holes that lead the reader to the next page. From a big red barn to green pastures, join Mommy Mouse on her search, and spot, count, and discover farmyard friends along the way. Maxime Lebrun has always loved to draw and color, even from a young age, watching clouds through the windows at school and drawing dinosaurs in school books. He studied youth illustration and animation in Epinal, France, and has been studying as a freelance illustrator form his new home in London ever since.